One of my favorite GNU programs is screen. 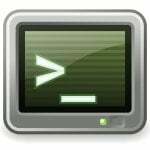 If there is no screen command, you need to open multiple ssh session with remote host. I have already written about how to install and getting started with screen utility. Screen is a full-screen window manager that multiplexes a physical terminal between several processes (typically interactive shells). The same way tabbed browsing revolutionized the web experience, GNU Screen can do the same for your experience in the command line. Instead of opening up several terminal instances on your desktop or using those ugly GNOME/KDE-based tabs, Screen can do it better and simpler. Not only that, with GNU Screen, you can share sessions with others and detach/attach terminal sessions. It is a great tool for people who have to share working environments between work and home. By adding a status bar to your screen environment, you are able to name your shell instances on the fly or via a configuration file called .screenrc that can be created on the userâ€™s home directory. most shity blog post ever. There’s no way that this is the shittiest blog post ever. Also loving this program for administrating my minecraft servers! could you have more [useless] third party load attempts?